Considering adopting a second child? New questions may spring up — including how to break the good news to your first child. A few months after I officially became a mom, I knew I wanted to ride that roller coaster again — the mountains of paperwork, the lull of the wait, and that breathtaking moment when I finally saw my daughter Katie’s face. It took another year before my husband, Mike, was fully on board. And, at that point, I thought the biggest decisions were behind us. But, as it turns out, adopting a second child raises all sorts of questions that didn’t arise the first time around. How important is it to adopt a child who has a similar background to your first child? Should your first tag along when you travel to bring home your newest family member? Like so many other adoptive parents, we spent a lot of time researching, debating, and discussing before we reached the decisions that felt right. If you’re just starting out, here’s some food for thought (and fuel for your debates). Which path should we take? At first, this seemed like a no-brainer: We were thrilled with our experience of adopting from China the first time, and had embraced Chinese culture since Katie arrived home. So we signed up for a second go-round from the same country. But as soon as we handed in our dossier, we began to question our decision — the timelines had increased exponentially, pushing our projected wait into four- and five-year territory. So we began to explore other options, and to rethink the importance of our children coming from the same culture. Overwhelmingly, parents who adopt a second time want their children to share a heritage and a birth story. But experts say that that may be less important than you think. 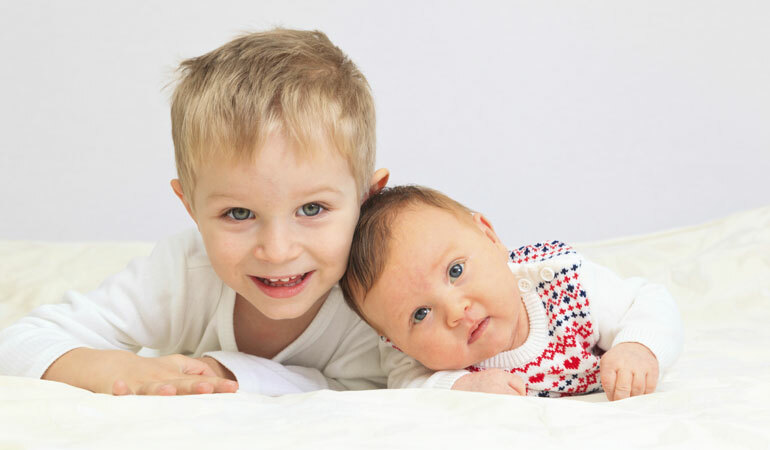 “Some people believe both children will benefit by having someone else who looks like them in the family, but I think that’s just guesswork,” says Joni Mantell, director of the Infertility and Adoption Counseling Center. “Every child is an individual.” Children should be wanted for themselves, not for what they bring to a sibling. After soul-searching, and exploring other options, Mike and I decided to stay the course with China, but switch to the waiting child program. How do we prepare our child? Now, a year into the wait, we bring up the idea of her little sister or brother regularly. We’ve let her pick out a special “lovey” she can bring along to give her new sibling, and we talk about how things will change in both good (a big-girl car seat for Katie!) and not-as-good (she’ll have to share Mommy and Daddy) ways when her brother or sister comes home. And Katie mentions her sibling often, telling us that she’ll teach her to do big-girl things, and that she’ll entertain the little one. Once we’re closer to a referral, we’ll ramp up the conversations — and add a few big-sister books to our reading library. How should we share the news with family and friends? Our families were thrilled about our first adoption, so we were shocked by a few lukewarm responses to our decision to adopt again. Some people worried that, since we got the “perfect” child the first time around, we were tempting fate with a second. Fortunately, the preparation we’d made for the first adoption helped us deal with less positive responses. Since you’ve shared such news once before, you probably know who would create anxiety for you — the aunt who calls every day for updates, for example — and might choose not to tell them immediately. “Cherry-pick whom you tell, and when,” says Mantell. How should we handle travel? Yes, it’d be simpler (and a lot cheaper) to leave Katie home when we finally travel for her sister or brother. But we felt that it was important for her to travel back to her homeland and to be there to welcome the newest family member — and we hope that watching Katie embrace us will help our new child to warm up to us a little faster. But we are taking a bit of advice from Mantell: “If you’re traveling with your child, bring along someone else to help out — a friend, Grandma or Grandpa. You need to be focused on what’s happening.” My brother will be tagging along to serve as luggage sherpa, cinematographer, and child wrangler, helping our daughter navigate the buffet lines and taking care of her while we do the paperwork. There are several factors that affect your decision to travel solo or with the family — your budget, your child’s age and adaptability, the availability of care at home, school obligations, and any concern for your child’s health or safety while traveling abroad. Don't be surprised if your mate resists adoption even as ..